Holi 2018: Different regions have different local ways of celebrations, but what truly brings India together on this festive occasion is their appetite for great food.Here's a complete guide to what to eat and drink during Holi. Water guns, gulaal, coloured cheeks and endless dancing and singing; these are just few of the things that make Holi to be one of the most awaited festivals of the year. Other reason is of course lots and lots of good food. Like every Indian festival, Holi too comes with its own share of signature delights. Fried, greasy and all things decadent, the festival of colours is a foodie's dream come true. This year Holi falls on 2nd March 2018. 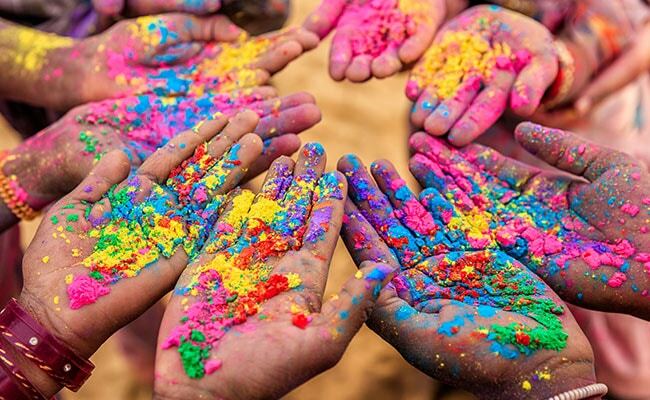 Holi celebrates leaving behind the cold wintry days and ushering in the bounteous days of spring. In parts of Uttar Pradesh and Bengal, Holi is associated with eternal love of Krishna and Radha. In Mathura, the festival is celebrated over a period of five days. Lath-maar Holi is a popular way of celebrating this festival. It is believed, that little Krishna would chase Radha to smear her beloved's face in vibrant colours, and also playfully splash some water over his Gopis (daughters of cowherds) who would then chase him and his friends away with lathis (sticks). In south, Holi is an occasion to pay respect to the God of love, Kaamdev. Different regions have different local ways of celebrations, but what truly brings India together on this festive occasion is their appetite for great food.Here's a complete guide to what to eat and drink during Holi. Gujiyas are fried dough pockets that are filled with delicious filling of khoya, nuts and jaggery. These delectable delights are later dipped in sugar syrup. This traditional Holi sweet is lovingly prepared in millions of households across Delhi, Uttar Pradesh, Bihar, Rajasthan, Madhya Pradesh and even Maharashtra, days before Holi and is served to everyone present in the household, during Holi celebrations. The sweet dumpling delicacy is more popular in the Northern regions, but similar forms and variants of gujiyas are popular across the country with different names. Holi and its love affair with chaat is known to all. The lip-smacking dahi bhalle, delectable papdi chaat, fiery aloo tikki or the heart-warming gol gappe, Holi is the ultimate license to indulge in all your chaat temptations. The chaat tradition of Holi is more popular in the Ganga-Jamuni cult of Holi. Ganga-Jamuni is the term used for the culture of the central plains of Northern India (Uttar Pradesh and Bihar). 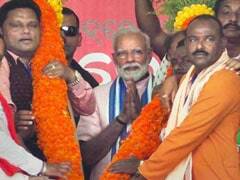 The culture bridges the gaps between people of various communities, castes and religion. Holi and Holi special food has played its own sweet role in bringing together the people of multiple ethnicities. 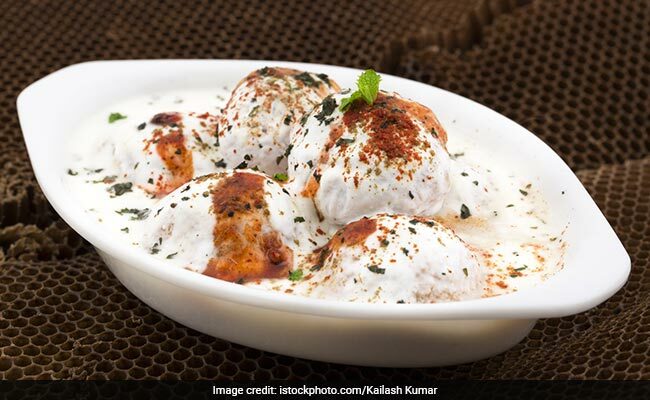 Dahi vada and similar chaat items gained popularity during Holi preparations soon after its introduction to Awadh. The tradition travelled to various adjacent states in the doab region and made its firm place in Holi celebrations over the years. While gujiya is certainly the star sweet of Holi; a typical Holi spread is much more than that. 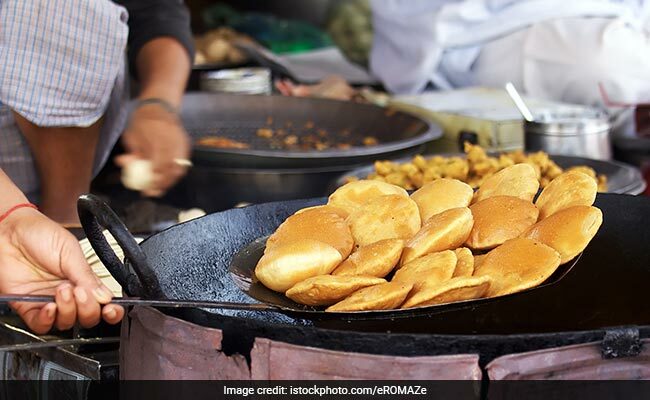 Malpua, or Indian fried pancake is one such festive staple that has been a part of Holi since time immemorial. Made of rice flour in oodles of ghee and sugar syrup, malpua is in fact touted to be India's oldest dessert. It is made extensively during all important, auspicious or festive occasions. Holi is no different. Fried, decadent and piping hot malpuas are a delight that you must not miss out on this festive occasion. Thandai is an Indian cold beverage prepared extensively during Holi. Also known as Sardai, thandai is a special beverage made with the nutty goodness of almonds and cashews. 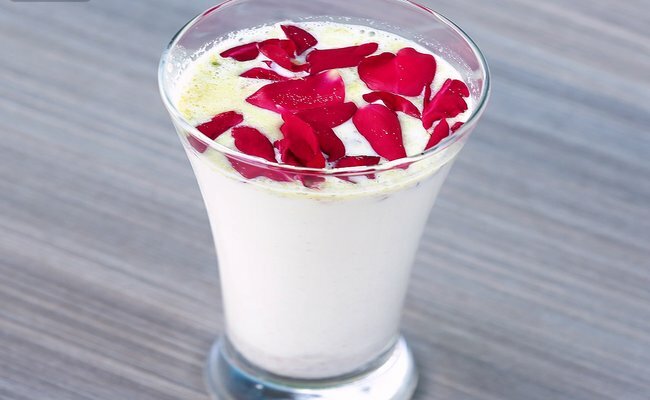 The wholesome beverage also has fennel seeds, magaztari seeds (watermelon kernel), rose petals, pepper, cardamom, saffron, milk and sugar. Thandai could be made in many flavours and is served chilled. Bhaang thandai is one of the most popular variants of thandai. 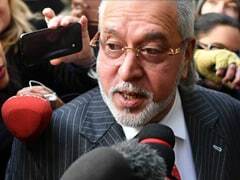 The boozy drink has a special intoxicating mixture of bhaang, along with all the nuts and aromatic spices. 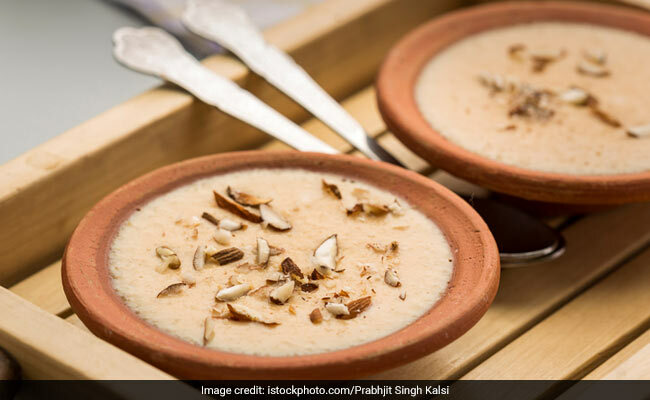 Holi 2018: Thandai is an Indian cold beverage prepared exclusively during Holi. Moong dal ki kachori is another such fried food that is popular during Holi. Stuffed with arhar dal, spices and fried crisps, this maida pocket is one treat you cannot say no to. 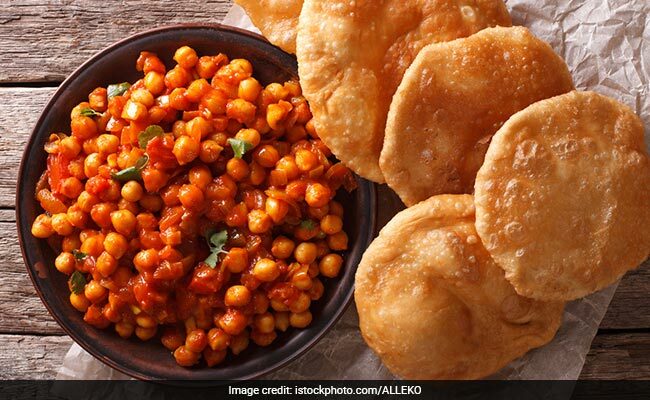 Team this delectable kachori with some aloo sabzi or chutney and you would know what we mean. A delectable and fragrant milk and rice-based Indian dessert, phirni is as festive as it gets. Phirni uses ground rice rather than whole rice. This rich creamy dessert is made with generous quantities of chopped dry fruit and fresh fruits. 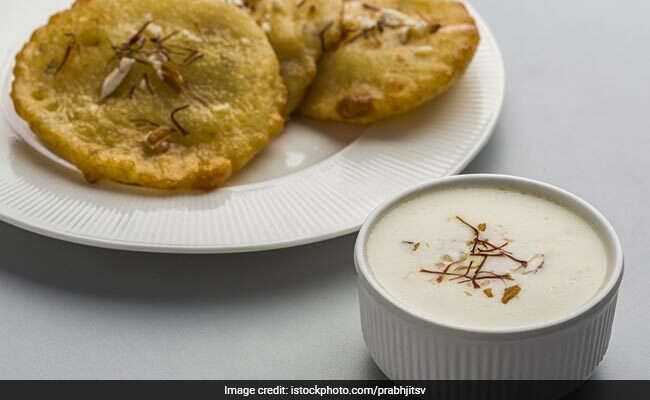 A plateful of spicy and tempting chanas served with piping hot pooris or lentil filled kachori is also a popular Holi delicacy you must try this Holi. Pair this delicacy with some spicy pickle and you're done for the day! Here's wishing you all a very Happy Holi 2018!